The year 2017 is on the verge to end. We got to see many Bollywood movies released some of them did vivacious business and some of them did not stand on the hopes of the audience. 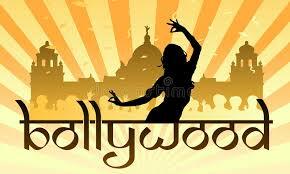 BOLLYWOOD also called INDIAN CINEMA emerged as world’s largest film industry. This year 1,986 featured films were out and 364 Hindi films were produced. We are going to tell you the list of movies that were released and made the place in your hearts. Talking about the start of the year. Jolly LLB 2 was Akshay starrer and worked with his magic and good story plot. The Ghazi Attack was based on the real navy incident and was well on screens. Running shadi.com was failed on the screens. March was a full flashed month and was loaded with the good pack of movies. Every genre of movies was involved. From action based Commando 2, Machine to romantic Phillauri. every movie was nice in their place. But Badrinath ki Dulhania was highest grosser among them. April was again not very good for box office collection of the movies. Tubelight- Salman starrer movie which was expected to be a great movie saw adverse results. the movie got bad reviews and audience was unsatisfied with the story. Guest inn London was comedy movie and got good audience reviews. Talking about Jagga Jasoos, it got mixed reviews. Munna Michael was flop. Shahrukh starrer Jab Harry Met Sejal was hit movie but failed to get good ratings as the story was weak although movie worked because of stardom. Akshay starrer Toilet ek prem katha broke records on box office as the movie came with a social message. A Gentleman did average business along with Bareily ki Barfi. Haseena Parkar, movie based on Lady don played by Shraddha Kapoor was above average movie. Simran failed on every expectation. Badshaho was also not too good. Overall September was not fruitful. Both movies were excellent. Secret superstar produced by Aamir Khan inspired many and was a legendary movie. Golmaal Again directed by Rohit Shetty was a fine comic-horror movie. Both did lot of earnings. Vidya Balan starrer Tumarhi Sulu was an okay movie. Ittefaq was a thriller movie with great suspense. Aksar 2 was flop. Qarib Qarib Single had an awesome storyline and did magic on the big screen. THIS WAS THE OVERALL REVIEWS OF MOVIES RELEASED IN 2017. 2018 IS COMING WITH MANY MORE GREAT HITS TO ENTERTAIN ALL OF US, SO GET READY !!! !